With Martin Luther King, Jr.’s birthday just past us, Winter Study ending quickly, and Black History month coming up, now’s a great time to snuggle up and rent a good movie. Until the early sixties, the portrayal of black characters in movies was confined to servants, porters, and other demeaning stereotypes. Only with the advent of the Civil Rights movement did the film industry wake up and start to portray black people as three-dimensional characters with intelligence and pride.The 10 titles listed celebrate blackness and give perspective on the fight for freedom and opportunity that some take for granted. (photo taken from one of my personal favorites, Crooklyn) PS–This list is very Denzel heavy…what can I say? 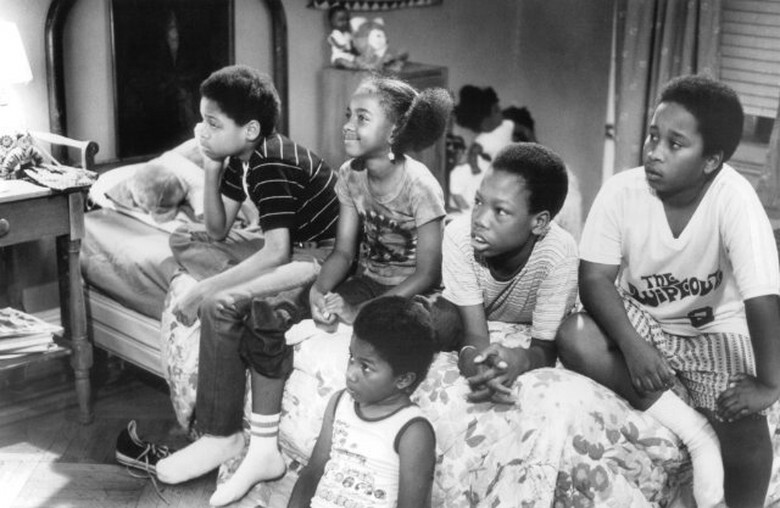 A Raisin In The Sun (1961) — An absolute classic. The title comes from Langston Hughes’ poem, ‘Harlem’, more famously known as ‘A Dream Deferred’. Walter Lee Younger (Sidney Poitier) is a proud, but frustrated young man who asks his recently widowed mother, Lena (Claudia McNeil), to let him invest her $10,000 life-insurance check in a business which could lift him and his family out of their dead-end poverty. Despite her son’s entreaties, Lena plans to buy a home and leave Chicago’s South Side for good, stoking Walter’s anguish and resentment. Based on Lorraine Hansberry’s play, Poitier’s raw desperation is palpable as his one chance to get out slips through his hands. 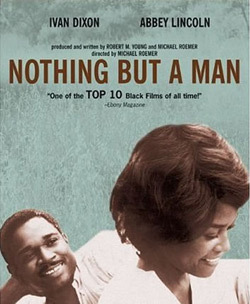 Nothing But A Man (1964) — In this landmark indie film by Michael Roemer, Duff (Ivan Dixon), is a struggling black railroad worker who meets Josie (Lincoln), a shy, refined preacher’s daughter and they fall in love. However, Josie falters as she tries to quell Duff’s frustration as he faces discrimination in his repetitive, dead-end job. How they surmount these obstacles and stay together shines a penetrating light on the black experience of the time. A film of unusual grace and power, both Dixon and jazz singer Lincoln give heartfelt portrayals as Duff and Josie, and look for the late, great Julius Harris playing Duff’s drunk, delinquent father. 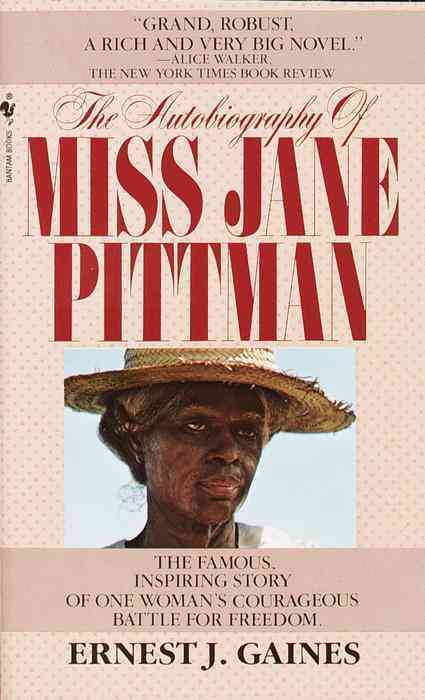 The Autobiography Of Miss Jane Pittman (1974) — Originally a TV movie, traces the life of the title character from a childhood in slavery all the way through to the civil-rights movement. The film begins in 1962 as an aged Pittman is visited in her Baton Rouge home by journalist vetting material for a book which prompts her recall both tragic and inspiring events from her long life. The gifted Cicely Tyson is marvelous as Jane, gradually transforming from a young girl to a wizened but spirited lady of 100+ years. Pittman is a revealing history lesson and tribute to the sturdy spirit of one human being who endured through periods of vast change, this important and touching film feeds both brain and heart. Killer Of Sheep (1977) — Another personal favorite. Living hand to mouth in the Watts section of Los Angeles, Stan (Henry Gayle Sanders) toils at a slaughterhouse where the dispiriting, mind-numbing routine of dispatching livestock leaves him emotionally distant from his wife (Kaycee Moore) and young son. Under these circumstances, life’s pleasures come in small and unexpected ways. Charles Burnett’s tender film doesn’t have much of a plot, but deftly illustrates the melancholic daily existence of an impoverished Black neighborhood. Its neorealist aesthetic, lugubrious pace, and minimal storyline are the ingredients for a surprisingly moving film that depicts ghetto life with lasting beauty and an authentic sense of humanity with a sweet jazz score. 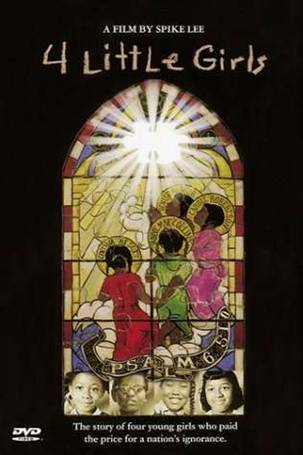 Say Amen, Somebody (1982) — The unparalleled exuberance and healing power of gospel is brought to life in this uplifting documentary. Part-history lesson, part-revival meeting, and regardless of anyone’s race or creed, this movie is about love and hope. Its infectious, especially poignant characters are the elders “Professor” Thomas Dorsey and “Mother” Willie May Ford Smith. Director George Nierenberg’s inspiring portrait demonstrates how music has sustained Black people through adversity for so long. The Great Debators (1987) –Drawing inspiration from a true story, an outspoken professor and debate coach boldly challenges the Jim Crow laws of the 1930s and molds the students of Wiley College, a small East Texas HBCU, into a fierce team that gives Harvard’s elite squad a run for their money. Denzel Washington’s The Great Debaters features the director himself as the ambitious educator, and Forest Whitaker as the resentful father of a student whose loyalties now lie almost exclusively with his coach. Melvin B. Tolson (Washington) is the kind of educator who truly recognizes the power of knowledge . The tireless educator implores his students to take responsibility for the future while furtively attempting to protect them from his clandestine role as an organizer for the Southern Tenant Farmers Union. Chief among Tolson’s promising young students is a 14-year-old prodigy named James Farmer, Jr. (Denzel Whitaker). Farmer’s father, James Sr. (Forest Whitaker), is a renowned scholar who has not yet learned how to truly harness his knowledge through action and assertion. James Jr. has seen the raving effects of racism all around him, and longs to live in a future where no one must be in fear simply because of the color of their skin. Other talented debaters on Tolson’s team include fiercely independent student Henry Lowe (Nate Parker), and Samantha Brooke (Jurnee Smollett) — the first ever female ever to join the Wiley College debate team. 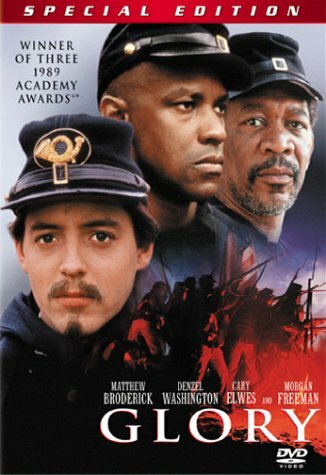 Glory (1989) — This is the true story of Colonel Robert Gould Shaw (Matthew Broderick), son of Massachusetts abolitionists, who is appointed to lead the first black regiment for the Union in the Civil War. Before this group is able to prove themselves in battle, Shaw must fight injustice within the Union hierarchy as superior officers doubt the regiment’s ability to fight and are unwilling to even equip them properly. Edward Zwick’s vivid Civil War epic boasts terrific battle sequences, but what sets this movie apart is the incredible acting in between the gunfire. Broderick brings to Shaw a nuanced mix of determination and vulnerability, but Denzel Washington steals the picture as a defiant enlisted man and he won an Oscar for this role. Morgan Freeman also shines as a wise, seasoned regimental sergeant. Malcolm X (1992) — Simply the best. My absolute favorite movie, story, historical figure, thinker, activist, inspiration. This film chronicles the remarkable life of assassinated civil-rights leader Malcolm X (Denzel Washington), born Malcolm Little, from his early years in a Harlem gang to his religious conversion in prison, marriage to Betty Shabazz (Angela Bassett), and rise to international fame as a controversial orator and spokesman for the Nation of Islam, led by the Honorable Elijah Muhammad (Al Freeman Jr.). A life-changing pilgrimage to Mecca, however, not only modifies Malcolm’s radical views of race, but tragically alienates him from his mentor. Built around a commanding performance by Washington, Spike Lee’s Malcolm X is the writer-director’s most ambitious, impassioned film to date, as it presents the turbulent and eventful life of Malcolm X that was constantly in a state of transformation. 4 Little Girls (1997) — Spike Lee’s documentary revisits a shocking crime that shook the nation in 1963 when a Baptist church in Birmingham, Alabama was blown up, killing four Black girls. The film combines reminiscences of the girls’ families and friends with observations on the times and the event’s broader significance within the Civil Rights movement. Heartbreaking and essential, Lee revisits an atrocity we should never forget. The overwhelming sense of personal loss and moral outrage is striking, especially when we remember how this unthinkable tragedy accelerated the progress of the civil rights movement. The barbarity of the southern segregationists’ act thrusting the race issue right to the front of the world stage, these four promising, innocent girls are now martyrs to the age-old struggle for racial equality. Freedom Riders (2010) — During the turbulent Civil Rights era, over 400 men and women, black and white, challenged segregation laws by riding buses together into the Deep South. As a result of this non-violent act, these activists endured beatings, tear gas, imprisonment, and sometimes death. Based on the acclaimed book by Raymond Arsenault, Riders brings together interviews with the participants , as well as journalists, government officials, and first-hand witnesses. The result is a vivid account of a gallant struggle against racial injustice. While most Americans have probably heard of the Freedom Riders, this meticulously researched work, presented by the acclaimed PBS series American Experience, provides a level of immediacy and detail that brings the whole period into vivid focus. Nominated for three Emmys, the film is a superb story of ordinary citizens taking extraordinary risks.